Artisteer is the first and only Web design automation product that instantly creates fantastic looking, unique Blogger Templates. Using Artisteer you can easily create your own fantastic and unique looking Blogger templates without learning HTML/CSS, Dreamweaver, and Photoshop. Using Artisteer's "Ideas" feature, which proposes new designs, you can automatically produce unique Blogger templates that can be later adjusted and finalized to your taste. 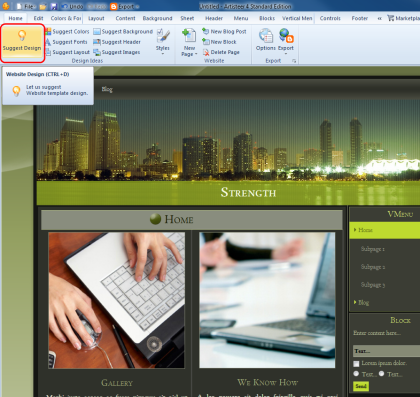 Adjust design elements such as layout, background, header, fonts, etc. 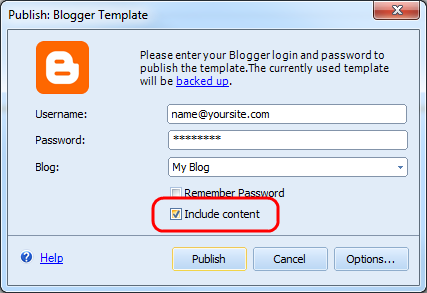 Publish your new template specifying your Blogger email and password, and selecting your Blogger blog. 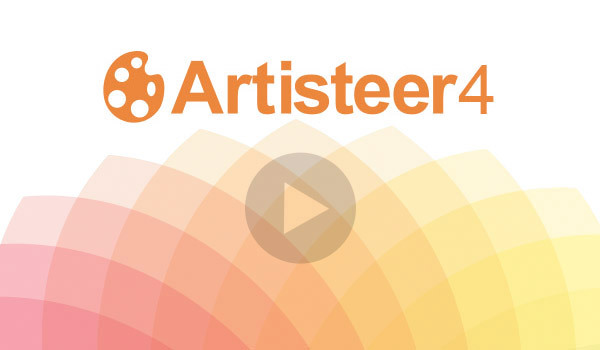 Starting with Artisteer 4 you can add content to your Blogger blog. To do this, please enable "Include Content" before publishing the template. Congratulations on your new fantastic looking Blogger™ Template! 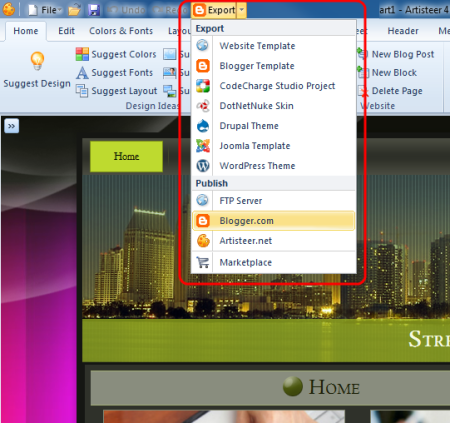 For more information refer to how to use blogger templates.